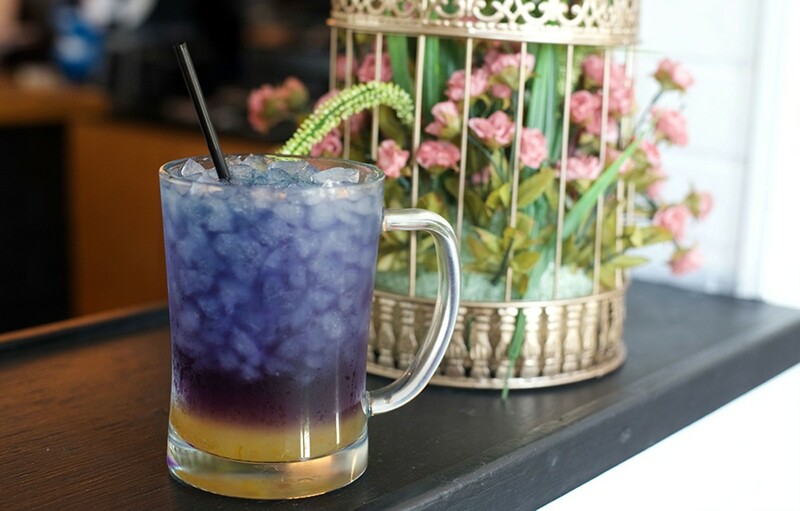 We were already obsessed with Krungthep's delectable sandwiches and eye-popping desserts when we saw their rainbow-colored teas make a debut on Instagram. The honey lemon anchan tea is a slightly sweet tea with hints of lemon zest and vanilla bathed in deep azures, lavenders and violets that ultimately lead to a golden finale. And the best part of this Technicolor drink is that it's all natural – no added colors, just some good tea craftsmanship. Get outta here with that Unicorn Frappucino.